Do you enjoy wasabi with your sushi? If you dine at sushi restaurants here in the U.S., chances are the green paste served is not real fresh wasabi, but rather regular horseradish with green food coloring. Today’s guest post is from my friend Tim Mar, owner of an online foods store, Chef Shop based in Seattle, Washington. They feature and support the small family owned, artisan producers that make amazing products like Amabito No Moshio – ancient sea salt from Japan. Tim sells fresh wasabi grown by family farmers Brian, Laurencia and daughter Aleena. 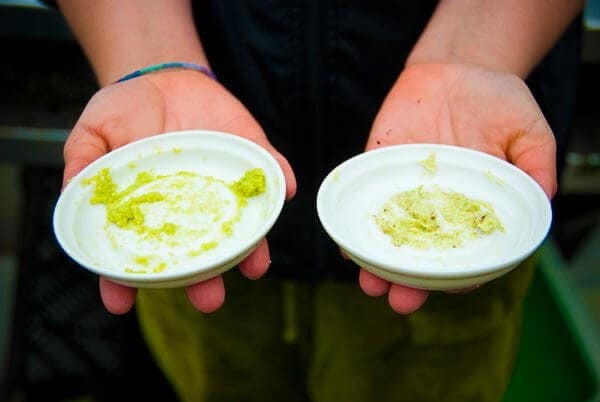 The crops are grown in three locations in North America, whose exact locations are kept a secret because U.S. grown wasabi is incredibly rare and valuable. There is such a high failure rate in wasabi farming that Brian must keep his location and harvest schedules confidential. Want to try fresh wasabi? I’m giving away a nice little gift of fresh wasabi to one lucky winner! Ever wonder why Wasabi, that fiery green paste and indispensable sushi accompaniment, tastes so much like horseradish? Here’s why: because it IS horseradish. Although we’ve learned to call it Wasabi, what we’re served in sushi restaurants in North America – and largely in Japan, too – is nearly always a mixture of horseradish and green coloring, with perhaps a little dry mustard, with possibly a very little bit of real Wasabi added in. Why not offer the real deal? Because real wasabi, Wasabia japonica, is very rare. Even in its native Japan, demand constantly outstrips supply, and it’s expensive to import and notoriously tricky to grow. It is a rare find and an unmatched taste experience. It’s a chilly, gray morning in May here in the Pacific Northwest, and I’m peering through dark-colored shade tarp walls into a long greenhouse. Inside, a thick, lush carpet of wasabi plants extend from one end to the other, almost ready to be harvested. There’s barely room to pick a pathway through the sea of green. 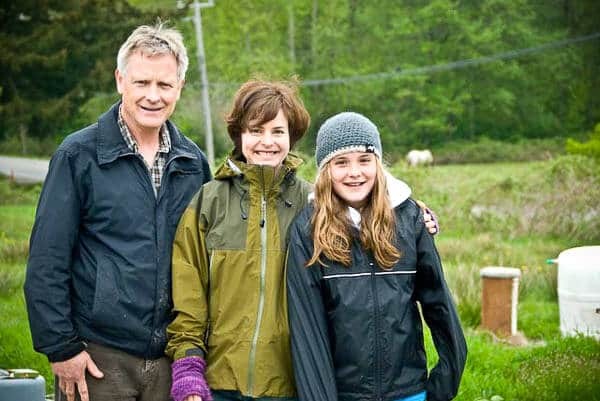 We are here to talk with Wasabi Meister, Brian, his wife, Laurencia, and their 10-year-old daughter, Aleena, who met us at one of their prime wasabi-growing sites. As Aleena leads us into the greenhouse, the rich, heavy, green smell of the damp plants envelops us. We watch as Brian selects a big, bushy plant that’s ready for harvest, after years of growing. Loosening it from the ground with a hoe he pulls it up, leaves, roots and all, and carries it outside to a cleaning and prep station conveniently set up right outside the greenhouse. After a brisk washing in lots of cold water, Brian deftly trims away the leaves (which he saves; they’re edible too – and delicious! 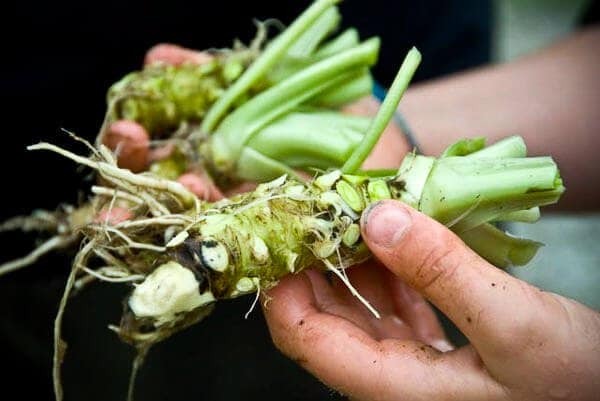 ), cuts off the roots, and holds out a knobby, 3-inch-long, greenish, root-like object: the coveted wasabi rhizome. 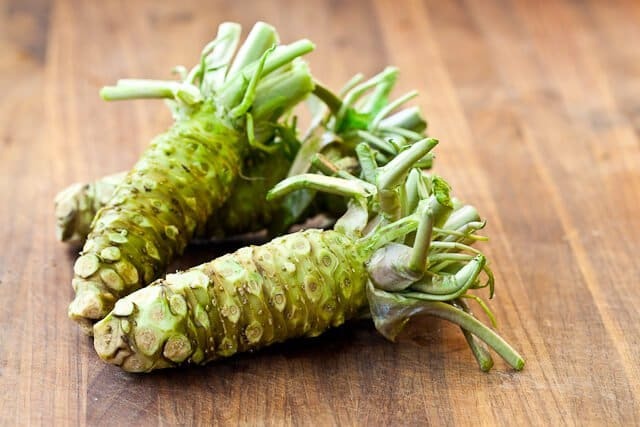 The rhizome, which is a root-like stem that grows above ground, is the part of the plant that’s grated to make wasabi as we know it – that is, wasabi as we’re used to seeing it but not tasting it! In a minute, Aleena amasses a little pile of grated wasabi, a lovely, light shade of green. (It really is green; the color comes from chlorophyll, since despite its root-like appearance, the rhizome grows above ground.) She pushes the shavings into a neat little pile, and then we let them rest for one to two minutes. This allows the wasabi’s flavor to develop; the flavor-producing compounds react following grating and exposure to the air. They’re extremely volatile, though – meaning that fresh wasabi loses its pungency and hot flavor in about 20 minutes. It must be eaten freshly grated! Finally, on the tip of a chopstick, we taste the fresh wasabi. It’s a revelation – like nothing I’ve ever tasted. It’s strong and hot, but with no harshness and no lasting burn. Plus, it tastes green, herbal, distinctly plant-like (unlike the imitation version); it’s a very clean, pure flavor. But wait, there’s more: don’t forget the wasabi leaves and their long stems! The large, heart-shaped leaves and crisp stems, known as petioles, are edible and excellent. Pleasantly spicy, resembling spicier varieties of salad greens but with a distinct hint of wasabi flavor, they’re flavorful and refreshing (and the touch of heat fades quickly, as with the grated rhizome). Even more than the rhizomes, the leaves are extremely rare outside of Japan. What better touch for your next springtime dinner party than a wasabi-leaf salad? Brian and Laurencia are finding an enthusiastic audience among local chefs that’s particularly interested in their recently available fresh wasabi. 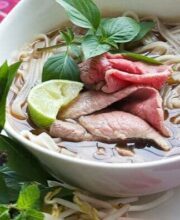 They also work with chefs from around the world; from the Pacific Northwest, with its terrific culinary scene and strong Asian-Pacific influences, to the U.S. and Europe. A number of chefs at Michelin-rated restaurants are customers, even as far away as South Africa where one chef brings wasabi to the table for customers to grate themselves! Wasabi is particularly suited for table-side service, since its flavor fades quickly. In addition to accompanying sushi and sashimi, chefs are serving wasabi with oysters, with steak, and to flavor soufflés, to name a few ideas! Rhizomes: One way is to individually wrap each rhizome in a damp paper towel and then store them in a bowl, uncovered, in the fridge. Do not use plastic; the rhizomes need air circulation. Keep the paper towels damp, and rhizomes will store well for a couple of weeks. Morimoto explained to me, in Aspen at the Food and Wine Classic, that we should store the rhizomes in ice water, changing the water daily. 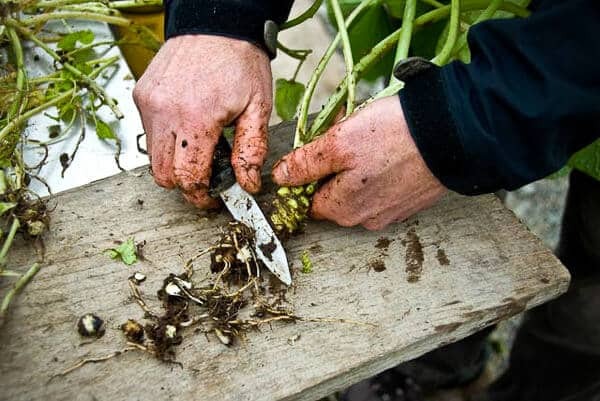 The rhizomes will darken around the edges, but you can just scrape off outermost layer with a vegetable peeler before grinding. Leaves and Petioles (Stems): These store very well in the fridge for about 10 days. Wash leaves and petioles and leave them moist; store in a plastic zip-type bag. Preparing wasabi to eat is a snap – and it’s fun, too! Start by washing the rhizome and trimming any bumps. 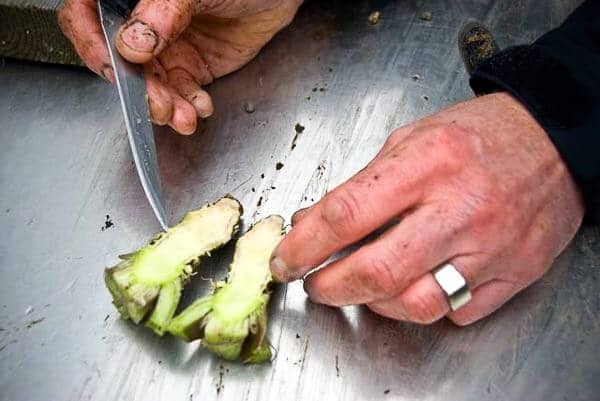 Then trim the root-end (holding the leafy end upright) for a fresh surface, and grate wasabi into a small pile. Let it rest one to two minutes for flavors to develop, and then serve! NOTE: Wasabi loses its flavor very quickly – in about 15-20 minutes when exposed to air – so gathering the shavings into a ball not only keeps it together for easy use as a condiment, but minimizes exposure to air. 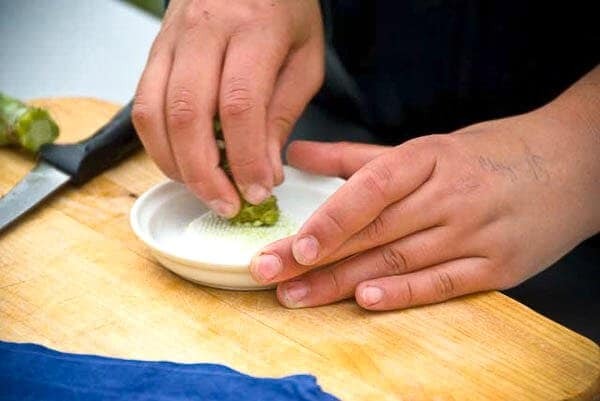 TIP: You can freshen up wasabi that has lost its flavor by grating on a little fresh wasabi into the pile and gathering it all into a ball again, rolling it between your fingers. Wasabi should be “sticky;” it should easily stay in a ball-shape. Despite its incredible culinary appeal, Brian initially became interested in wasabi for its potential health benefits. 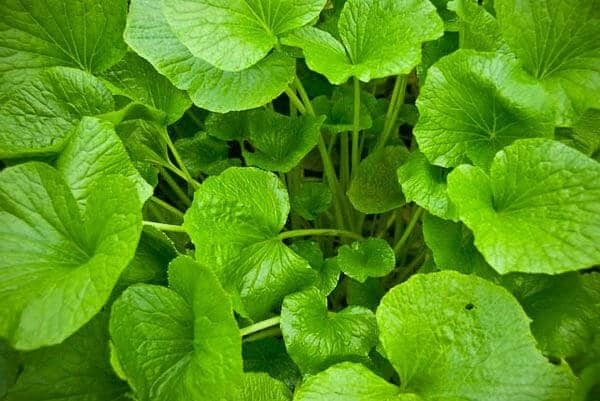 Brian, who until five years ago was a researcher and lecturer in botany at the University, came across some information about wasabi and its potentially anti-cancer properties right at a time when he had recently lost several family members to cancer. In 1993, he ordered his first wasabi seeds from Japan and planted them. They died soon after, but a second batch sprouted and grew. Fast-forward to today – skipping past years of trial and error, endless experiments with growing conditions – now, the wasabi is top-notch. It’s now available year-round from farms in the America’s and can be shipped over-night. 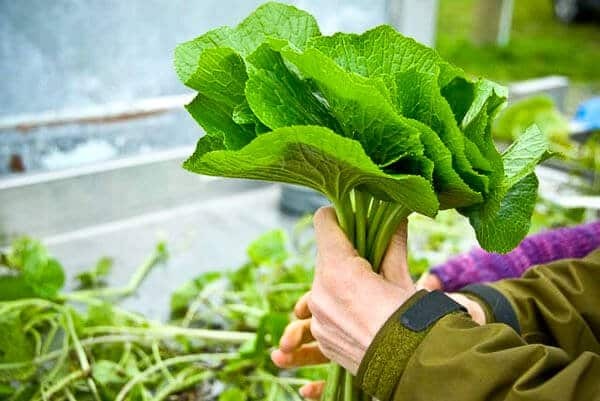 Wasabia Japonica is native to Japan, where it has long been a coveted delicacy (and also known to have medicinal benefits – more on this below). Such was wasabi’s desirability that, according to one story, shoguns gave Samurai warriors wasabi plantations as a thank you for services performed. In the wild, wasabi grows naturally in cold, mountain stream beds. Traditional Japanese farmers have also planted it in streams for cultivation, which produces great plants; semi-aquatic, or sawa wasabi, is considered more desirable for flavor and character than soil-grown. For Brian, however, in-stream was not a viable long-term planting option, considering the meandering route of streams, even controlled for planting. “It’s not very linear,” he points out – certainly not in the Western farming model of neat fields on acreage! 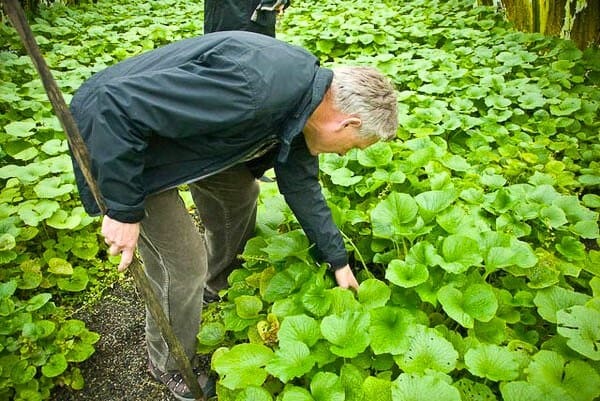 Now, after years of research and experimentation, Brian and his associates have developed a method of growing sawa wasabi, with excellent results. Wasabi is considered by many people to be a very difficult plant to grow. Brian agrees with this statement, however, “It’s like baking a difficult cake; once you figure out the recipe, it’s not so hard,” said Brian. Perhaps not, but the recipe took many years to discover! Even now, they continue to experiment and tweak their methods. 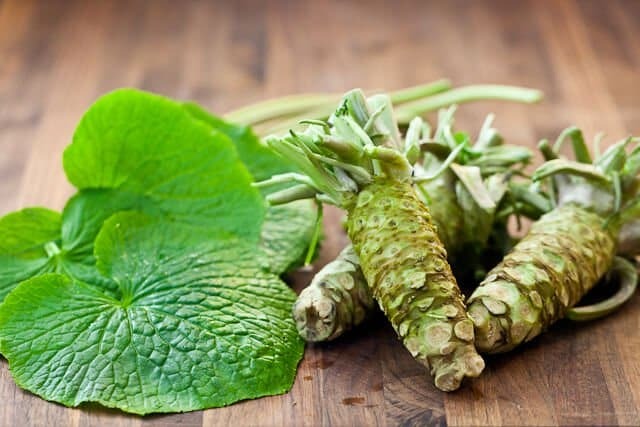 In a published article of Naturopathy, Brian detailed some of the potential benefits of wasabi, some of which are summarized below. – Wasabi is a member of the super-healthy cruciferous family, which includes kale, cabbage, broccoli, cauliflower, brussels sprouts, mustard and more. – In Japan, wasabi has long been believed to have medicinal properties. ITCs inhibit some strains of bacteria, yeast and mold; it is believed that wasabi’s anti-microbial effects are a reason that it became a part of the diet in Japan, an effective complement to any ill effects of raw fish. – ITCs also have anti-inflammatory effects, meaning that wasabi may be useful for controlling seasonal allergies and asthma. Brian and his family are convinced that it is, and they love to tell stories of friends and family members helped greatly by wasabi (in freeze-dried capsule form). They have recently found a clinical trial done in Japan that supports the fact that wasabi is very good for seasonal allergies. Other potential benefits are helping to prevent tooth decay and, possibly, working against cancer cells. Research has been limited, partly due to the low availability of wasabi and the expense in obtaining it. Brian hopes that, having learned to grow it, he will be able to help scientific research on wasabi progress. – Fresh wasabi is occasionally available at some well-stocked Asian groceries. Plants: Wasabi is ready to harvest after at least 18 months, when the bushy, leafy plants are about knee-high. The whole plant is pulled up. 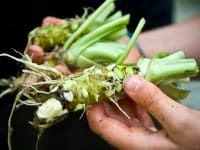 Wasabi Rhizome: The rhizome – a thick, root-like stem growing just above ground-level – is the coveted part of the plant. The knobby rhizome is about THREE to SIX inches long. Leaves and Petioles: Virtually unknown in North America are the wasabi plant’s leaves. 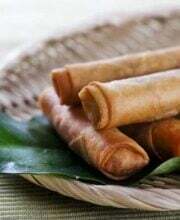 The palm-size leaves and long, crisp, light-green stems are both edible and delicious. They don’t taste quite like wasabi, but they have a bit of a spicy bite to them, and they make an excellent salad green. Love to plant it. But where can I get some seedlings and how do I plant it. What’ fertilizer shall I use. I read this article with great interest in that after perhaps 30 years of enjoying and eating at sushi restaurants, I only just last month was introduced to true wasabi at a wonderful new restaurant we discovered. I’d love to find a resource to purchase the real deal and was curious as to why no mention was made in this article as to where to it could be purchased? Perhaps it’s such a rare delicacy, it’s a guarded secret??? I just retired and I have always had a garden. I raise horseradish because I love it. What would it take for me to raise wasabi?? I live in central Illinois. Would it grow here? I finally got some deeds. I have been want to grow it for over 15 years. If I were younger I have a spot where I could grow it like it is in Japan. But alas I had a stroke so I cant. Just a small crop for not. I have 7 seedlings going now. Looking forward to see how they do. I love wasbi and horseradish. I can eat them straight and love the flavor. this subject matter, it might not be a taboo subject but typically people don’t discuss these issues. To the next! All the best!! 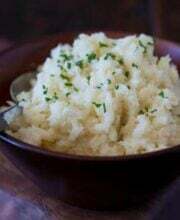 Pingback: Japanese Horseradish – Wasabi わさび 와사비 山葵 « Is the World your Oyster? Carole, The brand is the Eclectic Institute from Portland, OR. You can buy the product from their website (www.eclecticherb.com) or from Iherb. LOVE YOUR RECIPES, HAVE TRIED QUITE A FEW & HAD EXCELLENT RESULTS. I WOULD APPRECIATE IT IF YOU COULD TELL WHERE & WHAT BRAND I COULD GET OF THE FREEZE DRIED CAPSULES. MY THREE GRANDCHILDREN HAVE VERY BAD ALLERGIES. THANKS FOR YOUR TIME. how would I get a starter plant, or bulb or seed. I would love to try and grow at least one plant. Thank you so much for this post! I’ve been enamored of real wasabi for a long time and thought that they only ever have imports. Who knew that someone in the US was growing it? The closest I ever got to this was using the real wasabi that’s been preserved in those wasabi paste tubes. They don’t last as long as the fake stuff but it’s not as good as the real thing. Fascinating! I’ll definitely think twice about that fluorescent green stuff next time I go out for sushi! The last time we had fresh wasabi was when we had our final dinner for our second year graduating students. It costs a lot of money to bring the wasabi to Cebu City but it was great to see a real one and work with it.. The flavor is so intense and fresh. The real thing is absolutely amazing. Thanks for the informative post. Hmph. You know, if I hadn’t of seen this pop up in my Google Reader I never would have questioned what actual Wasabi looks like! So informative! Yeah, i get mine from http://www.realwasabi.com . Made a gift for my local Thai restaurant that also does sushi/sashimi . Gave them an extra jar for when I come in. So totally different than the food-colored horseradish. Wow! I had no idea. Thanks for the info, this was really interesting to read. Ahhh thanks for that! My friends and I constantly talk about what wasabi is made out of. Real wasabi is wasabi; stuff in restaurants = most likely horseradish + dye. Got it! Thanks Tim and Jaden, this was really educational and I learnt something today :-). Thank you for the informative post! I love how fresh wasabi is coming from the PNW. Fresh wasabi is the best with Sashimi. My most recent experience was at Sushi Taro in DC. Great read, Jaden! I’ve only had fresh wasabi once, at a pricy sushi place – it was much more mellow than the little green hand grenade you get everywhere else 🙂 And I love that they’re a family-run business working with real, quality foods. There’s no way wasabi would grow where I live, but horseradish does exceedingly well. I think reading this article has inspired me to whip up some ‘green horseradish’ when my harvest comes in this fall. This is a really informative and wonderful post about wasabi. Coming from a Japanese family, I have to say that fresh wasabi is certainly the best.The best restaurants usually use fresh wasabi – fresh wasabi just makes everything taste better! It is really expensive though. I love this post! Just recently got my hands on some fresh wasabi and it was fantastic! Reminded me a lot of fresh ginger. Subtle, but with a punch at the end.